Provide comfort for the family of Charlotte Kolesar with a meaningful gesture of sympathy. 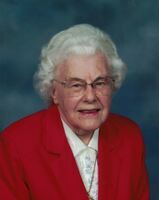 Charlotte L. Traphagan Kolesar, age 96, of Erie, passed away Monday, April 8, 2019, at Ball Pavilion at Brevillier Village. 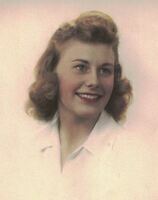 She was born in Venango Township on December 12, 1922, a daughter of the late Emory and Hazel Yost Traphagan. Charlotte graduated from Academy High School in 1941. She worked as a receptionist for S.A. Wagner Insurance Agency. Charlotte was a member of St. Boniface Church and was a member the St. Boniface Quilters Club. She served on the Wattsburg School Board for 24 years and was a long-time member of the Kuhl Hose Co. Auxiliary Club, from 1972 until 2007. In addition to her parents she was preceded in death by her husband, Edward L. Kolesar and her brother, Wayne E. Traphagan. Survivors include her two sons, Eric and Paul Kolesar; her sister, Lois Maxine Shreve; her brother, Blaine P. Traphagan, all of Erie; and many nieces and nephews. Friends may call at the Russell C. Schmidt & Son Funeral Home, Inc. 5000 Wattsburg Rd. on Thursday from 11:30 a.m. until the time of funeral service there at 1:30 p.m. Burial will follow at Erie County Memorial Gardens Cemetery. In lieu of flowers memorial contributions can be made to the Kuhl Hose Co, Inc. - 3131 Rescue Ln, Erie, PA 16510. To send flowers in memory of Charlotte L. Kolesar (Traphagan), please visit our Heartfelt Sympathies Store. We encourage you to share your most beloved memories of Charlotte here, so that the family and other loved ones can always see it. You can upload cherished photographs, or share your favorite stories, and can even comment on those shared by others. Provide comfort for the family of Charlotte L. Kolesar (Traphagan) by sending flowers.